One look at the SsangYong Tivoli XLV and you can tell that this is a special SUV. Its bold, powerful lines demonstrate that it’s able to mix rugged capability with a sleek, modern style. The 18-inch alloy wheels are stunning, while the 167 mm of ground clearance let you clear debris without a second thought. The lamps further demonstrate this dedication to the mixture of form and function: the LED daytime running lamps, rear combination lamp with LED, and LED repeaters on the exterior mirrors and side of the fender look great while simultaneously keeping you safe. 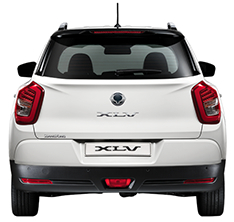 With its stunning design, the Tivoli XLV is sure to turn heads no matter where you go. The Tivoli XLV has an attractive modern look, but don’t be fooled--it’s still an SUV through and through. 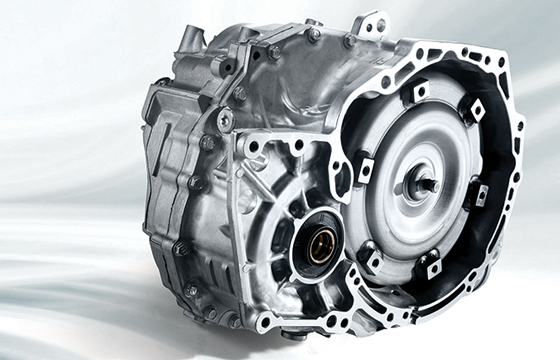 Its 1.6-litre e-XGi160 engine generates 94.1 kilowatts of power, as well as 160 newton metres of torque. Despite its impressive power, the Tivoli XLV still uses minimal fuel. Choose a manual or automatic transmission to suit your driving style, and enjoy the electric power steering and electronic cruise control. The MacPherson strut front and torsion beam rear suspension make the Tivoli XLV a truly comfortable drive--even metal roads feel smoother with the Tivoli XLV. 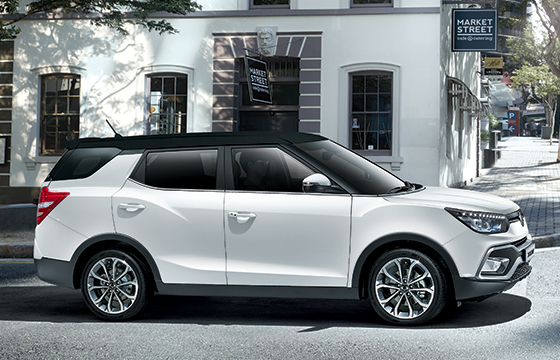 The Tivoli XLV is designed to keep you and your family safe--no matter where your journeys take you. If you happen to be in a collision, you’ll be protected by a reinforced body structure, door impact beams, and airbags (including front and rear curtain airbags). 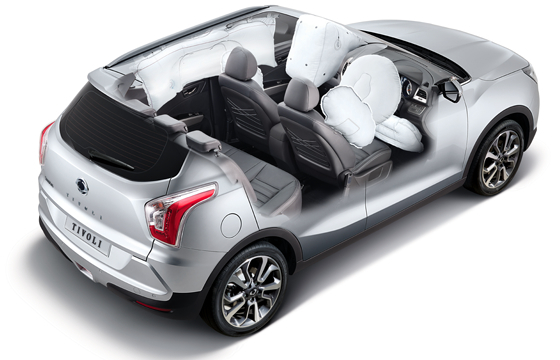 The safest way to deal with a collision is to avoid one entirely, which is why the Tivoli XLV comes with plenty of active safety features. Front and rear parking sensors take the guesswork out of parking, while the Electronic Stability Programme uses hydraulic brake assist, hill start assist, and active roll-over protection to make sure your driving experience is a truly safe one. When you step inside the Tivoli XLV, it’s clear that it was built with the comfort of the driver and passengers in mind. The beige and black interior is outfitted with a silver-accented instrument panel for a clean, luxurious look. Meanwhile the comfortable seating and standard floor mats create a space that’s truly comfortable. If you need more cargo space, you can fold down the 60:40-split rear seat. 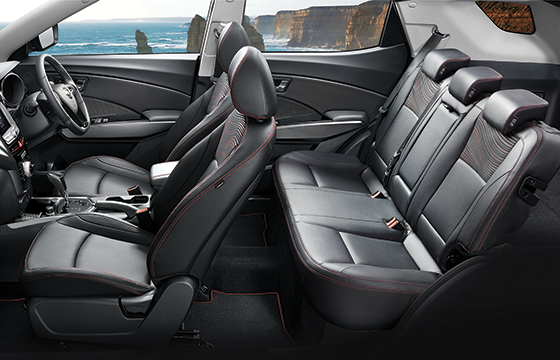 If you’re using the rear seat for passengers, they’re sure to enjoy the fold-down armrest. 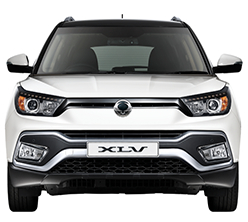 We invite you to come to Auckland Central SsangYong, since the Tivoli XLV is something you must experience to believe. The cutting-edge technology inside the Tivoli XLV is sure to thrill and entertain. It comes standard with a 7-inch high-resolution touchscreen with audio streaming. 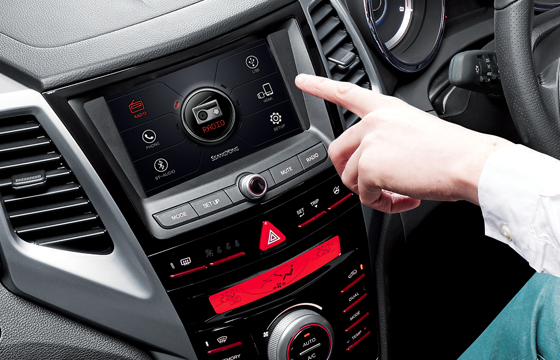 Additionally, the steering-wheel-mounted audio controls and Bluetooth hands-free technology make it even easier to control your music without having to take your eyes off the road. Two power outlets make it easy to keep your devices charged and ready to go. Of course, the Tivoli XLV uses technology for more than just convenience: the rearview camera makes it easy to back up without worrying about bumping into anything.